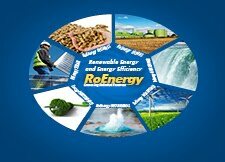 On April 11-12, 2013 in Moscow will held the 2nd International Conference & Exhibition "Solar energy in the CIS and Eastern Europe", the key business event for solar energy industry in the CIS. In the conference will participate key market players of the CIS and Eastern European such as: producers and equipment traders and photovoltaic modules, suppliers of specialized equipment and engineering companies, investors, industry experts, and representatives of governmental sector. Every year the situation for the players of the dynamic global market of solar energy is getting worse - the developed markets of the EU reduce the support of the industry and the markets are getting saturated. Market participants predict 2nd boom of solar energy and increasing the capacity in the Eurozone provoked by lowering the cost of the project. But this is going to happen in the indefinite future. What should the solution providers, investors and developers do today? That's right, go to the East! A huge "undeveloped" territory of the former Soviet Union, where the "grain" of renewable energy industry are just beginning to sprout, can become even more stable market than saturated EU members. First Conference was successfully held on April 5-6 in Odessa, on the Black Sea and in the region of the rapid development of the solar industry, and attracted over 150 delegates from more than 20 countries. CISOLAR-2013 is dedicated to the solar energy market and is designed to gather industry leaders and highlight the prospects and regional characteristics of solar energy projects in Eastern Europe and the CIS. - Trends and features of the solar industry of the CIS and Eastern Europe - how to turn them into the business benefit?